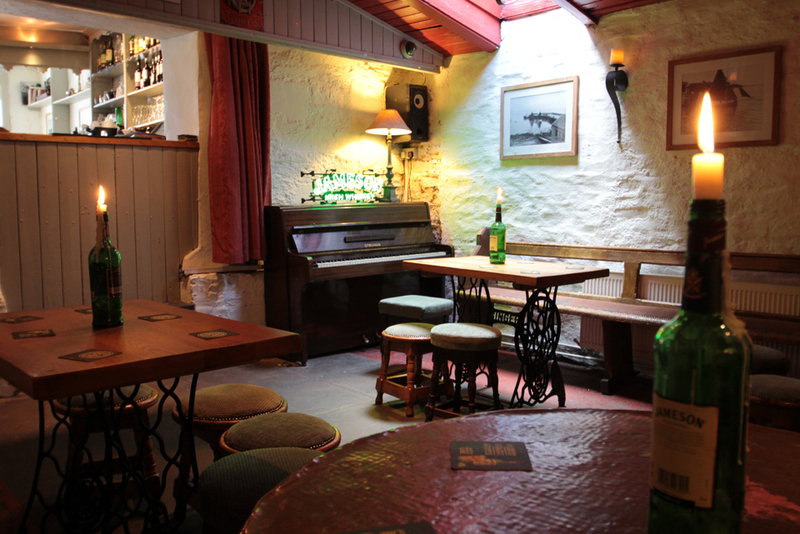 The Blackbird, Ballycotton is a charming traditional Irish pub in the picturesque fishing village of Ballycotton, East Cork. 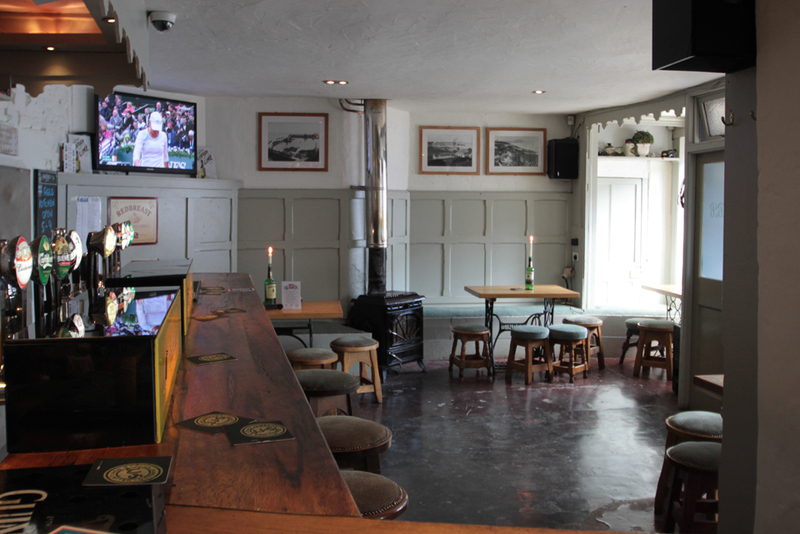 Renowned for popular Live Music, welcoming staff, fantastic family beer garden, great craic and delicious hand-made and locally sourced food from The Field Kitchen, The Blackbird is the perfect place to socialize and party when in East Cork. Only 35 minutes East from Cork city and close to the home of Jameson Whiskey, Midleton. 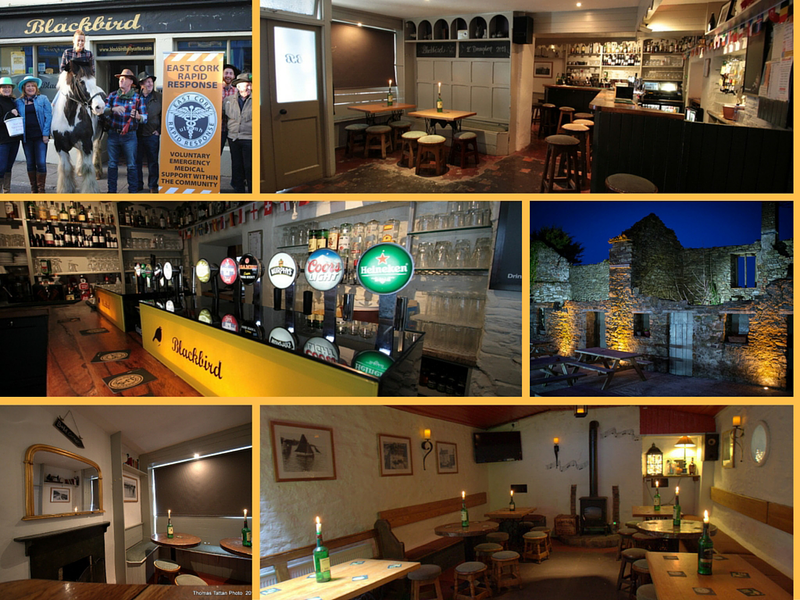 The Blackbird is an authentic local Irish village pub decorated traditionally with a rustic and genuine ambience. 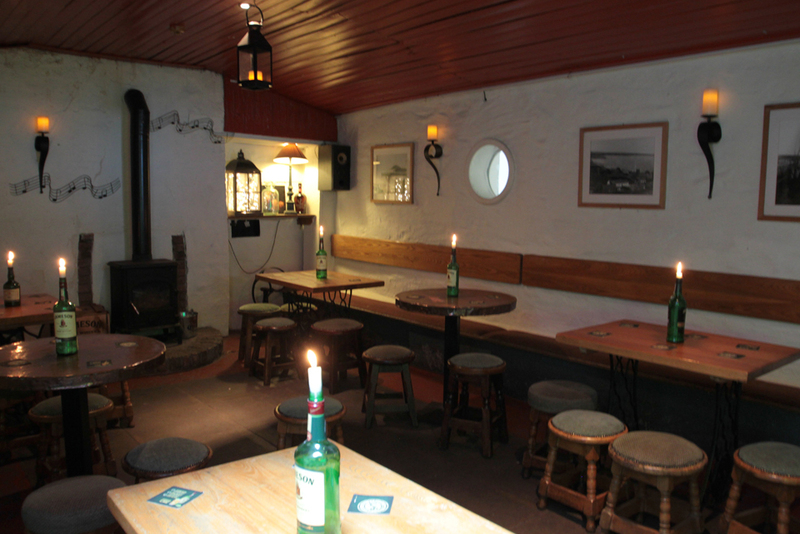 Jameson whiskey bottles with candles light the comfortable bar, Singer sewing machine leg tables and wood burners and an open fire make the bar warming and comforting in the winter. In summer at The Blackbird, you can enjoy the spacious, attractive and child friendly beer garden. 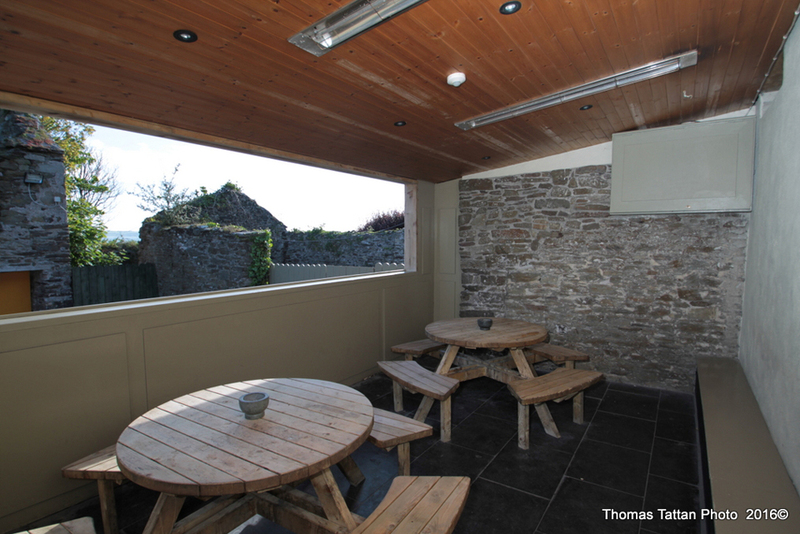 Set amongst the ruins of the oldest part of Ballycotton village, the beer garden makes the perfect party venue and ideal for the ‘Afters’ of wedding parties, Birthdays, Christenings, Communions, Confirmations or any occasion, alternatively, make spending the afternoon in the Blackbird beer garden with friends and family an occasion itself! Join our SMS / Email notifications of Live Music and other events at The Blackbird. There is a monthly electronic draw from everyone on our SMS / mailing list for the chance to enjoy a drink on us! 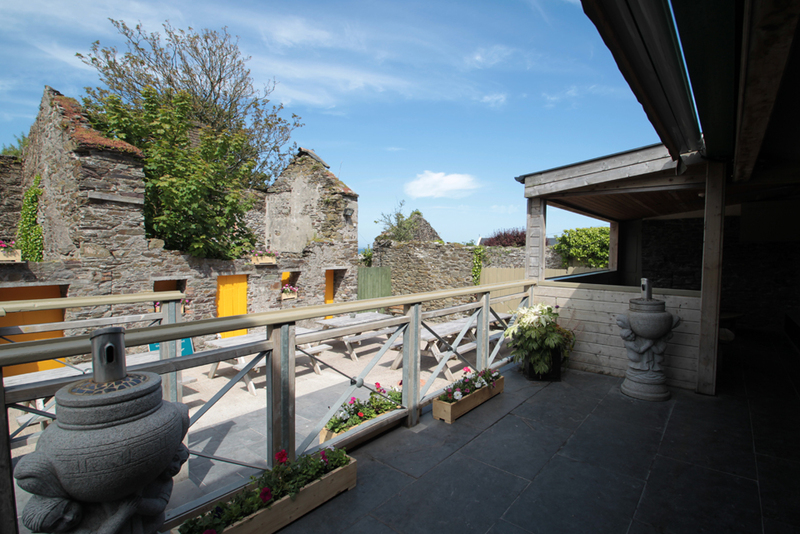 We look forward to welcoming you to The Blackbird, Ballycotton soon… Ballycotton is not on the tourist track but that is part of its charm. We are worth making a detour too and rumor has it that it rains less in Ballycotton than anywhere else in Ireland! See www.ballycotton.ie for more information on our beautiful village.